Why format your new memory card? Well lets first ask, what is formatting a memory card? The memory cards you can purchase for your cameras and other digital recording devices come blank and fit into numerous different recording devices including cameras, phones, video games, appliances and more. It is said you can use them right away there are some information that you should know. Some people say to just put your new card into your camera and the camera will prompt you to format if needed, well I do not really want to take the chance with my image recording, so I automatically format any new cards I buy. So each one of these divices speakes a slightly different language so the purpose of formating the memory card in the specific device makes the device to be able to talk to the memory card. A drawback of not formatting your memory cards in a device can cause you to get corrupted files or to even loose data. This may not always happen but if you do not regularly format your cards once you have downloaded your information this could happen. Basically Canon, Nikon, Sony and other device brands have their own language and do not really speak to each other well. So if you put a card in your Nikon camera for instance, take a few images, then you buy a new Sony camera a few days later and decide to use the card that you have in your Nikon, you will have a really good chance of loosing or corrupting your images previously taken on you Nikon as well as the ones (if the Sony will add to the card) and not being able to view or download either of them. So in essance by formatting the memory card the camera is basically cleaning it and adding its language to the card so the particular device can speak and record information properly on it. If you have read this and have not formatted your new card you just put in your camera and have taken some photos, first put it into your computer card reader and download any images that you wish to save as formatting will totally wipe any data off your card before it formats the device information onto it. So you need to make room for additional images on your camera memory card? You think well I will just delete them in the camera and that will give me room for more. Well yes it will but deleting only removes some of the data, and over time can cause issues as it does not fully clear all the data related to what was stored on there. It is much better to format the card then you will be sure that you are starting off with a clear slate. It is ok if you are in a pinch and need a bit of room for a few more images just delete a few to make room but once your images are transfered to your computer it is a good habit to re-format your cards, so you are ready to shoot again. How do I format my memory card in camera? Generally it is pretty staightforward to format your card in camera. Most cameras are basically set up very similarly. Start by turning on your camera and pressing the review button (usually the button with a blue triangle on it) and make sure that there is nothing on the card that you want to keep or that you have not yet downloaded to your computer. Once that is done you are ready to format your card. Now this is where I still get a bit nervous, expecially if it is a card I have been using and know there are great images on it. Just make 100% sure that there is nothing on the card that you want as after you press format everything on the card will be gone forever and not retreaivable. So once you are totally sure press or activate the format tab, usually you will have a second chance incase you change your mind and want to check through your images again. But once you are totally sure you can go ahead and say yes to format card. This sometimes takes a few minutes depending on the size of your card and also on how much data you have on it. Your camera will prompt you when formatting is complete. You can press the playback button and you camera will now show no dat or not images available. So now you are ready to go and shoot great images on a clean slate. You made a very interesting post about the importance of formatting your camera memory card and all of the steps. Thank you for also showing all of the steps required to format a memory card. Thank you for your comments. I had numerous people tell me that they just delete images in camera and this panics me. I do not want to see people loose their priceless images. Happy shooting and please feel free to let me know if I can help you with any photography questions you may have. I feel formatting is an easy one touch delete all. If you do it by deleting, this may need more time. I will need to select them one by one and then delete them. But this method of clearing only some images by deleting can be useful. Not all in the card I want it to be removed. Especially when I don’t have any backup. Thank you for you comment. It is very important to back up your images to your computer or other device before deleting them on your camera and if you delete alot and not format you can in time corrupt your memory card. I have learned something new today. I did not realize how important it is to format your camera’s memory card. Actually I have never done it. A couple of years ago I did lose a few hundred important photos. It was a fairly new memory card. I was very upset and threw it away. At that time I was using 2 different cameras and I am now sure the problem was with not formatting the card before I used it on the other camera. Since then I am using only using the one camera. How often should I format the memory card if I use only one device? You have brought up a good point. If you have different cameras you want to use the same card in the same camera that you formatted the card for. 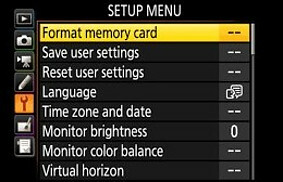 If you say format it in and older Nikon camera and then decide that you need another card for your new camera then you will need to first dump any images you want to keep to your computer and then you can take that card and put it into your new camera but you will need to format it in the new camera before taking images as every camera, even the same brands have slightly different languages so to be safe once images are on your computer… re-format. Basically once your images are transferred onto your computer and backed-up then you can re-format. It all depends on how many images you are planning to take and how much space you need. I do know that some people just purchase new cards once they are full and do not re-use and re-format but because I take a lot of images I do reuse may cards. I hope that answered your question. If you have any more please feel free to drop them in the comments and I will be pleased to help you. It is always good to format a memory card before use because formatting clears the directory structure of the card and removes any artifacts that might be left behind by erasing. And it is important always to do the formatting on the camera itself and not in the computer as each device may use different formats to communicate with the card. Another plus is that every time you format a memory card if it towards the end of it’s life it may fail formatting saving you from frustration. I agree totally with your article and hopefully it will help many people. Thank you for the share! Thanks for recognizing the importance of formatting memory cards in camera. It is too bad that most people do not get told this when they first buy their camera’s. 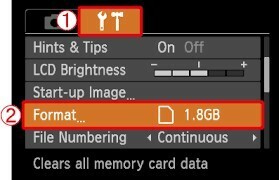 Formatting, as you mentioned, can let you know when the card nears the end of its lifespan and if this happens before you go out to shoot it would ease the frustrations of possibly loosing your images. Thanks for an informative article. ‘A drawback of not formatting your memory cards in a device can cause you to get corrupted files or to even lose data.’ Personally, I have not paid much attention to the latter lately. But I dealt with this kind of issues in the past. Now I know how it is important to keep files safe and always backed-up. I am glad that you raised a question ‘So you need to make room for additional images on your camera memory card?’ But my question is if you cannot format the whole drive and you must keep some files in the drive, then what to do in this particular case? Should all the files from the disk or drive be transferred and drive formatted completely and then every single file relocated again to the drive which was formatted? From practice, when I tried to do that not every single file was transferred. Mainly, some files were too long or got some errors and the transfer itself could not be completed. But thanks again for constructive and insightful thoughts here. If you format your drive (that is in your computer) or the memory card in your camera, all the data contained there will be gone, and you will not be able to retrieve it. 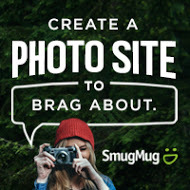 So that is why I emphasis that you need to have the images that you want to keep transferred to your computer or other external drive via your computer so that you will have them. And just of clarify, you cannot only format part of your memory card. Once you hit the format button, the entire card will be formatted and then ready for you to take more images. Let me know that this has made sense and if I can help you with any other questions please drop them in the comments and I will be pleased to answer them for you.